The 54.21-carat round brilliant-cut, fancy vivid yellow ’Mouawad Dragon’ diamond is being called the largest of its kind in the world. 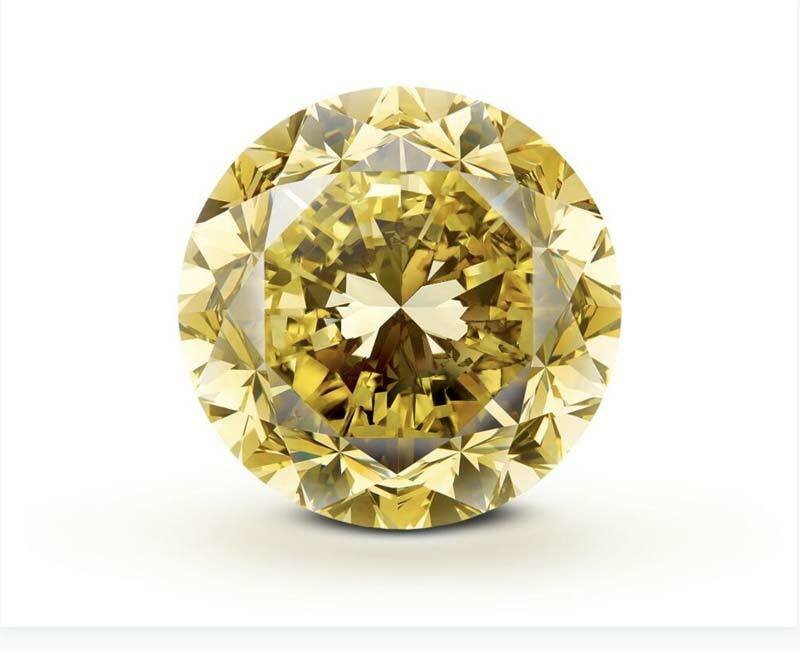 Swiss jewellery house Mouawad has crafted a round brilliant-cut, fancy vivid yellow diamond that is said to be the largest ever graded by the Gemological Institute of America (GIA). Dubbed the ’Mouawad Dragon,’ the 54.21-carat gem was created from a rough crystal found in the ancient alluvial deposits in South Africa. The planning and cutting of the stone took more than six months to complete. “We’re thrilled to have had the opportunity to craft this extraordinary diamond from the rough,” said Fred Mouawad, co-guardian of the company’s diamond division.